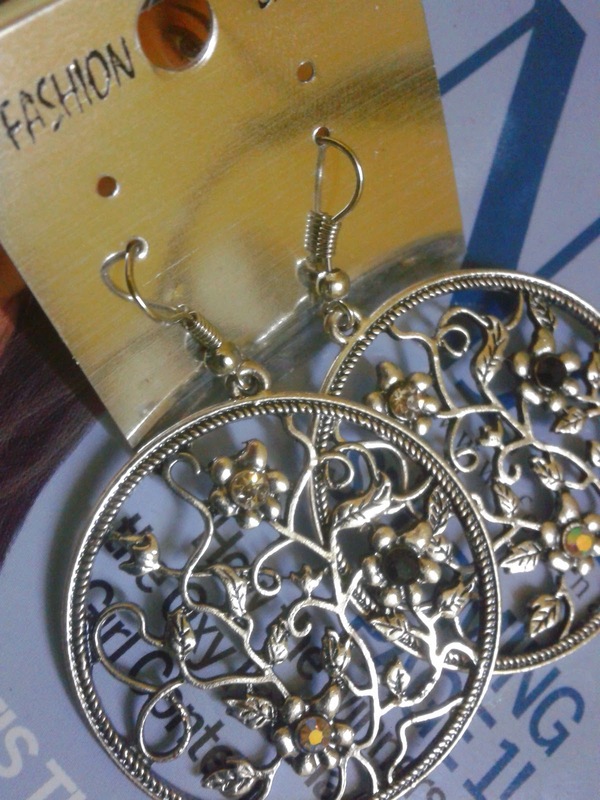 Another buy from the haul, the disc shaped earrings caught my eye cause of the extensive detailing. 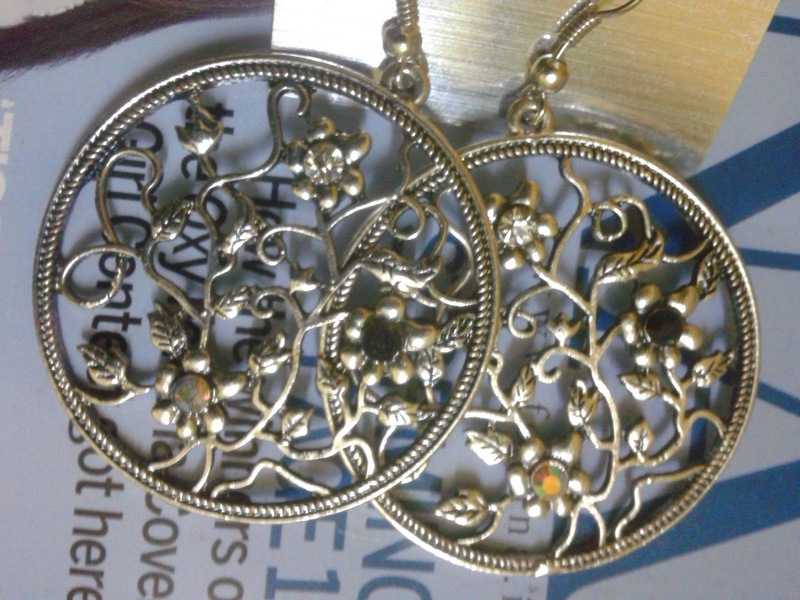 Originally wanted to get em in gold tone but, later ditched it for its twin in silver . 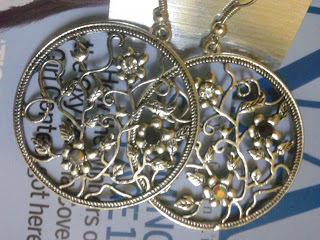 As you can see the earring has 3 flowers each of which is adorned with a different colored stone. 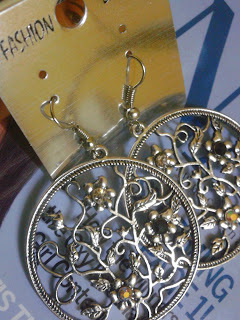 The leaves, twines aah..the pair makes such a gorgeous addition to my collection. 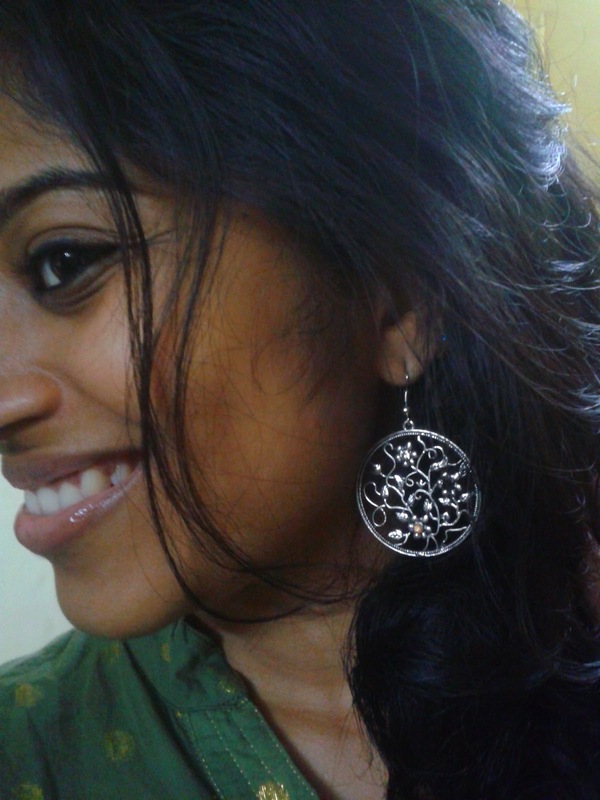 Im giving another shot at self portrait of moi wearing the earrings. 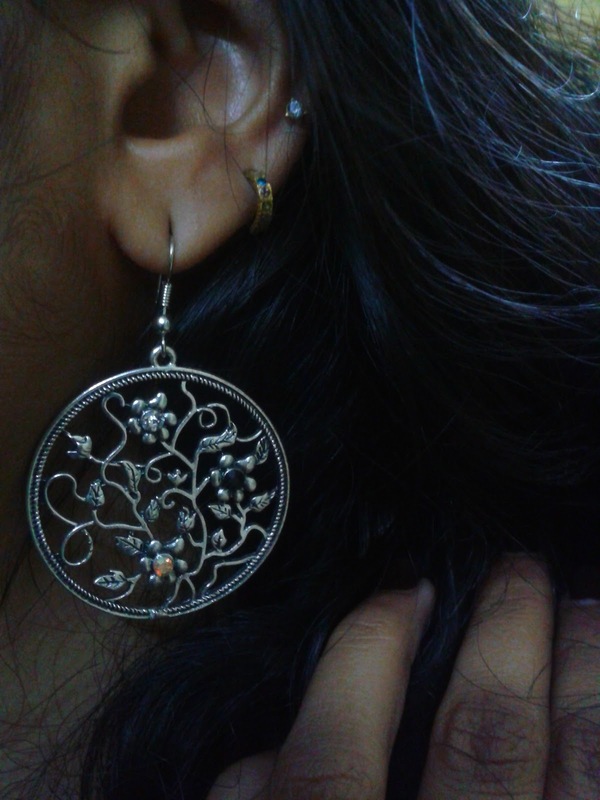 Sometimes it so happens that the earrings may be pretty by itself but, may not suit the wearer. 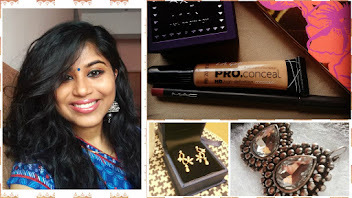 Depends on the shape of the face mostly, I prefer long , thin earrings, one which gives an illusion of elongated face.